DIY Blessings Board and Another Free Printable! I had no idea that when I first made and posted about our Blessings Board three years ago that it would become one of the most popular projects among my readers. But, even better than that to me is that it’s become a favorite fall tradition in our family. Each fall since that first year, my kids wait for me to pull it out of storage and get it hung in place near the kitchen table. Then they ask me every few days if it’s time to change out the blessings again. It’s the perfect routine for the weeks leading up to Thanksgiving. And a great lesson that stays with us throughout the rest of the year as well! I gave the DIY tutorial in the original post here, but if you want an even easier mini version, I’ve made up a free Count Your Blessingsprintable that you can print out and place in an 8×10 frame. 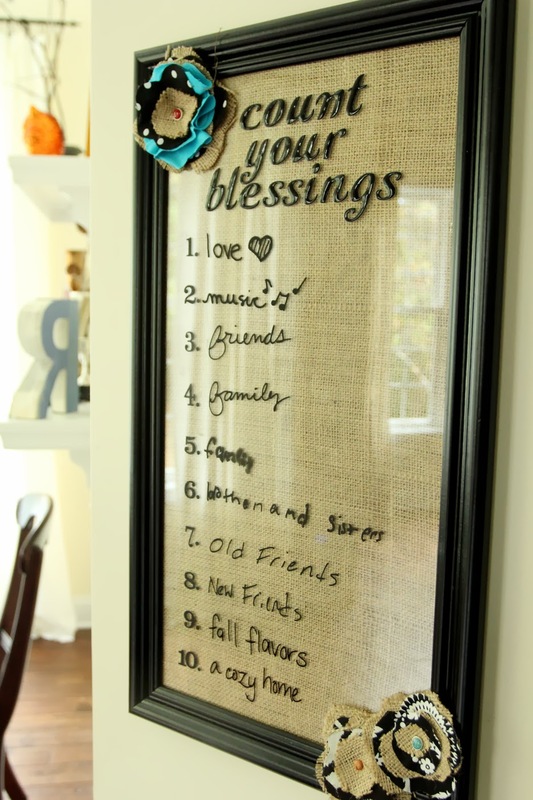 Then, just use a dry erase marker or a chalk marker to write and re-write your many blessings on the glass of the frame. Just click here to download and print. The one problem with this project is that we all have more blessings than we can actually count. But that’s a pretty good problem to have! 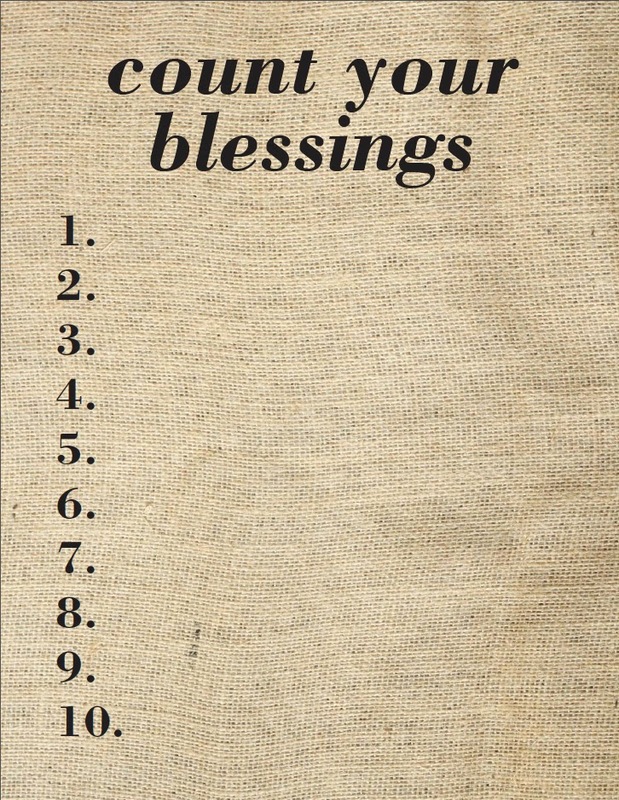 What blessings are you counting today? This entry was posted in Uncategorized and tagged Faith, Fall, Family, Free Printables, Thanksgiving. Bookmark the permalink. Follow any comments here with the RSS feed for this post. Post a comment or leave a trackback: Trackback URL. You're welcome, Dee! I'm glad you like it!